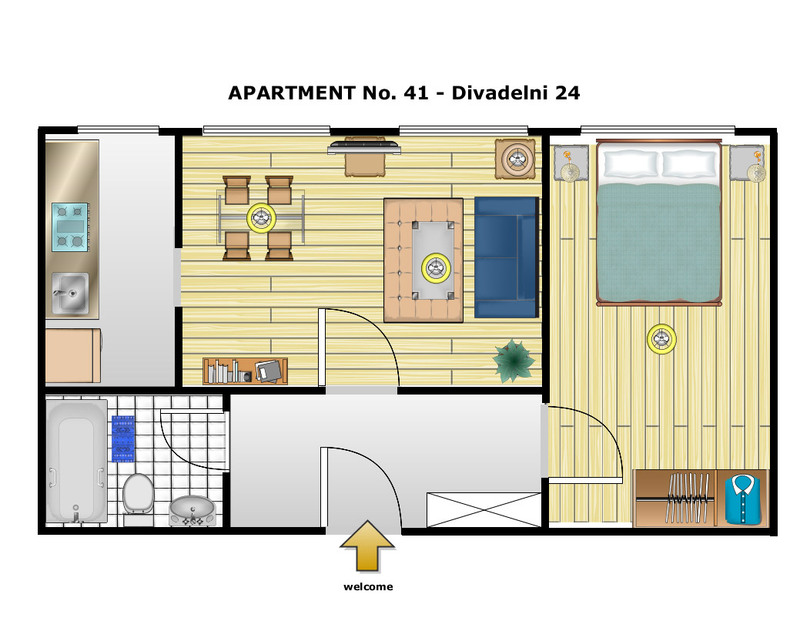 Apartments Divadelni is situated directly in the city centre of Prague right above our central office with a view of the Old Town. 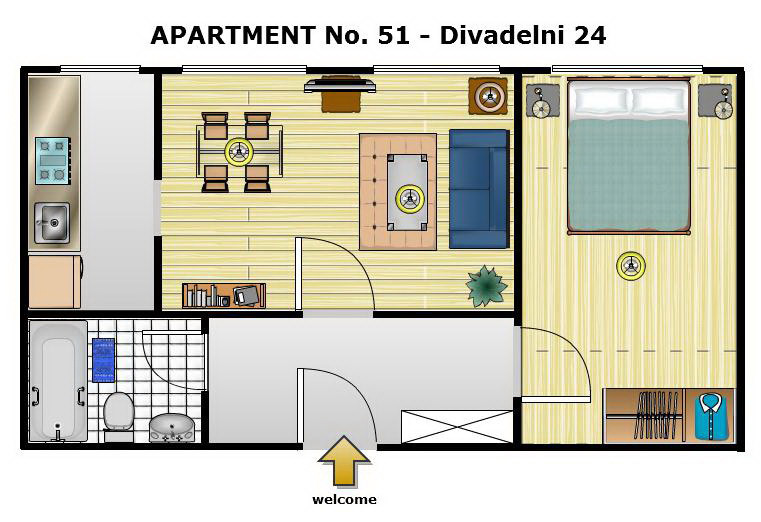 Its great location guarantees that you will reach all the sights within minutes by foot or by public transport. 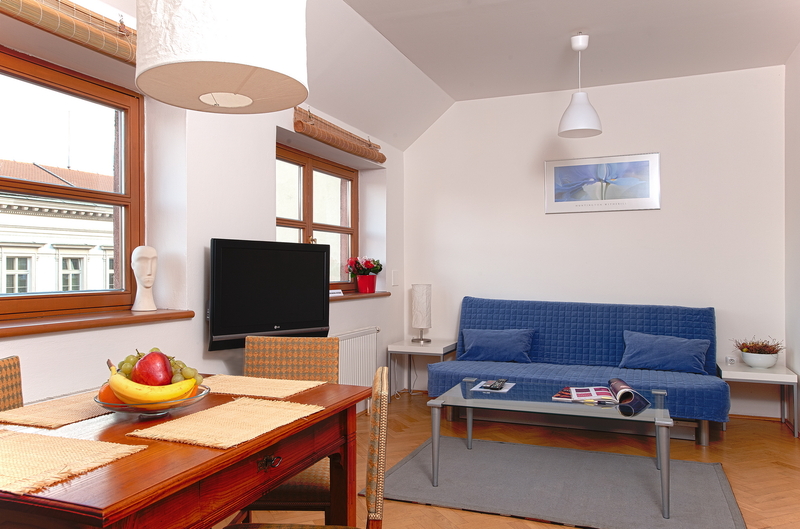 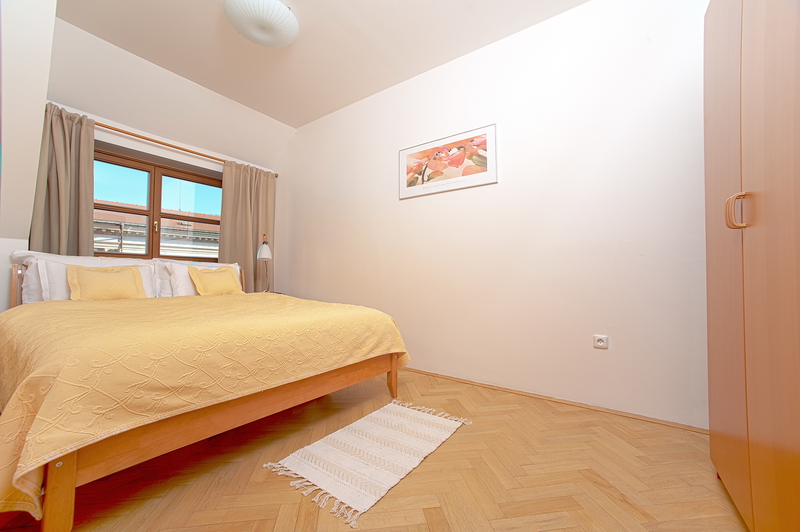 Our cosy apartment is fully equipped and therefore ideal for couples or young families with up to 3 persons. 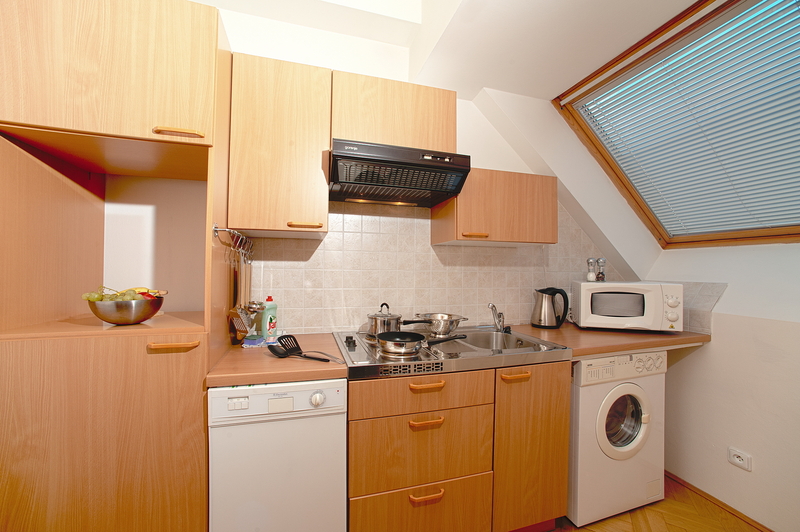 All the usual amenities like dishwasher, washing machine, microwave, TV and internet connection are provided. 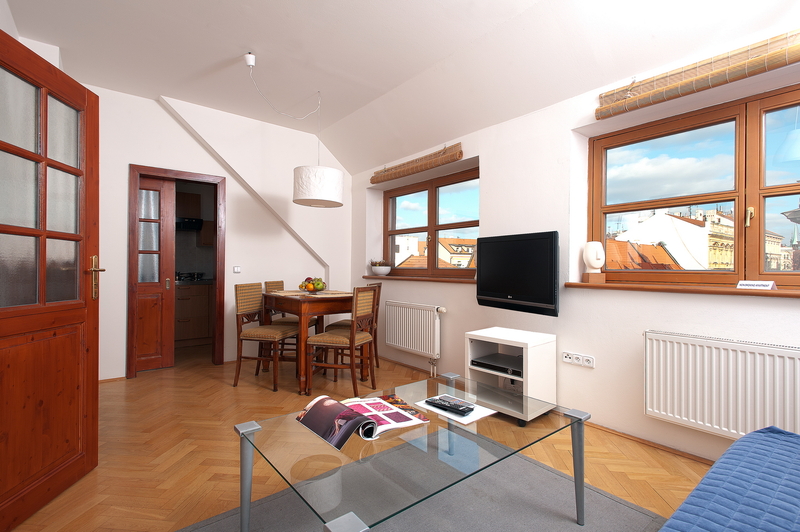 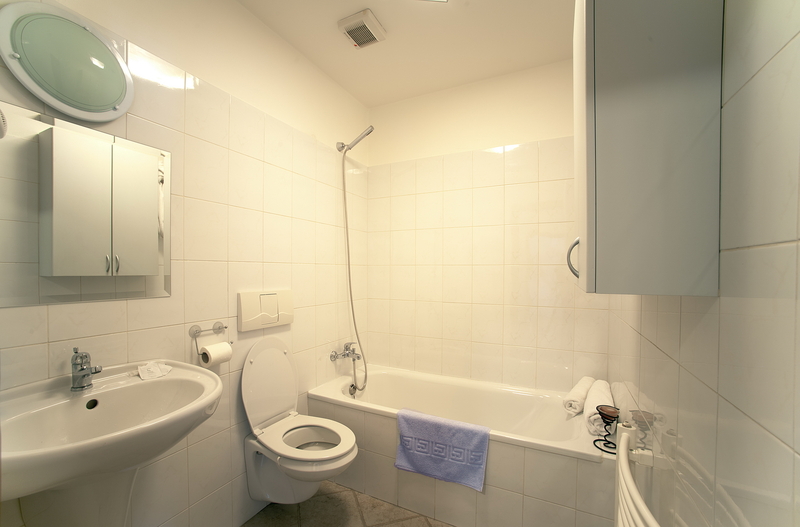 We are sure you will enjoy your stay in Prague here.